This Friday Polyvinyl Records will release a split between bandmates Mike Kinsella and Evan Weiss. Together they’re two-thirds of the mathy monster known as Their / They’re / There, but separately they’ve worked under the names Owen and Into It. Over It. On the split both Kinsella and Weiss cover each other’s songs, while also contributing a new, original track that highlights the differences between the bandmates’ approaches. The A.V. 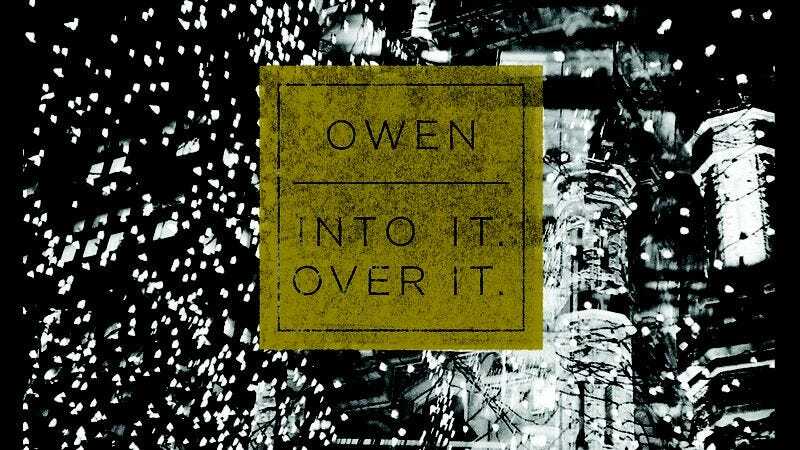 Club is streaming the original contributions—Owen’s “Poison Arrows” and Into It. Over It’s “Local Language”—below, with both cuts showing why Kinsella and Weiss make such a perfect pair. Pre-orders for the split are still available through Polyvinyl Records.